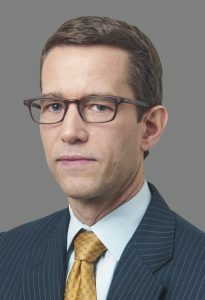 John P. McCormick will succeed J. Tomilson Hill as president and chief executive of Blackstone Alternative Asset Management (BAAM.) Hill will step back from the day-to-day operations and transition to a new role as chairman of BAAM, maintaining strong investor relationships and providing strategic advice to the senior management team. He will also remain active in minority interest investments in hedge funds. Stephen A. Schwarzman, Blackstone’s chairman, chief executive and co-founder, said: “During Tom’s 25 years at Blackstone, he took our hedge fund solutions business from being a less than $1 billion business when he assumed responsibility in 2000, and built it into the world’s largest discretionary investor in hedge funds with more than $75 billion in assets under management today. I personally thank him for the many years of leadership and support he has provided BAAM and our firm more broadly.” As a firm, Blackstone currently has $385 billion in assets under management in alternative investment strategies. 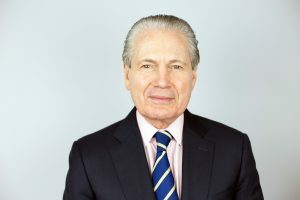 During his 40-year career, Hill was president and chief executive of BAAM since 2000, and became the firm’s vice chairman in 2007. McCormick, 50, has been with BAAM since 2005, most recently as senior managing director and head of global business strategy for the hedge fund solutions group. He has overall responsibility for global marketing and client services functions in addition to overseeing its Liquid Alternatives, GP Stakes, and hedge fund seeding businesses. McCormick’s 25-year career includes senior level strategy roles at McKinsey & Co., time as an attorney with Davis Polk & Wardwell, and serving the US Department of the Treasury. He received a Bachelor of Arts from Vassar College and a JD from Yale Law School.